Before the internet shits itself because I’m rounding my back, this drill is not for beginner lifters or general fitness enthusiasts. The risk:reward just isn’t worth it for them and, realistically, they have much more important things to develop (core strength and control, hamstring & glute strength, blah blah blah). 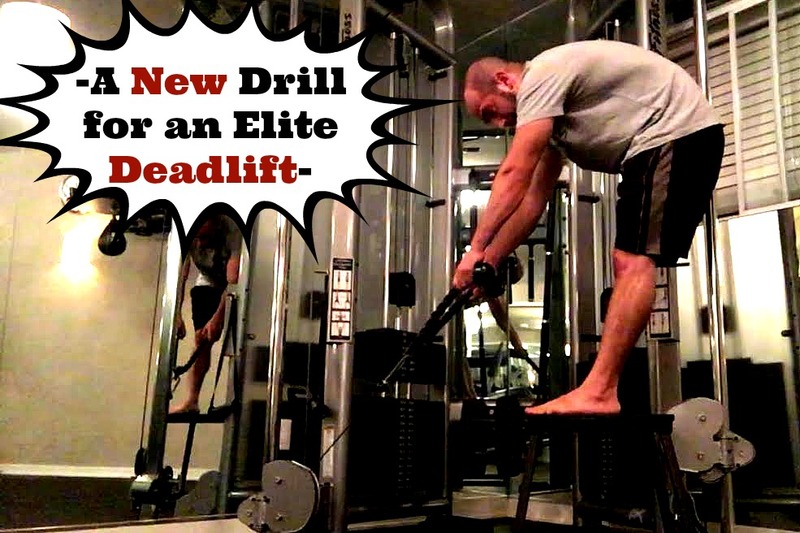 That being said, if you’re an advanced deadlifter trying to take your deadlift towards the elite end of the spectrum, this exercise will give you a tremendous advantage. Because — and I explain this in the video — most lifters actively avoid any exercise that trains their back in lumbar flexion. Because if you’ve ever missed a deadlift or grinded through near max weight, you know just as well as I do your back is probably going to round. Either way, actively avoiding low back flexion in your training (as an elite lifter, not a general fitness enthusiast) isn’t doing you any favors. And, in my opinion, you’re a lot less likely to hurt yourself (and a lot more likely to lift heavier weight) by strategically training your lower back in its weakest position. Many will disagree (I’m wicked excited to see the comments section!). Regardless, I hope you find this video helpful and, as always, if you have any questions or comments post ’em below. Watch the whole video — don’t skip around! 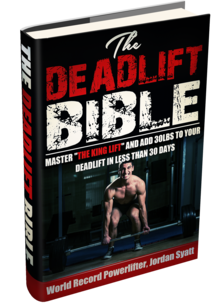 Have You Read The Deadlift Bible? Downloaded and read by nearly 10,000 lifters, The Deadlift Bible is my own creation complete with 4 instructional video tutorials and an entire manual outlining optimal deadlift technique, progressions, programming, and more.